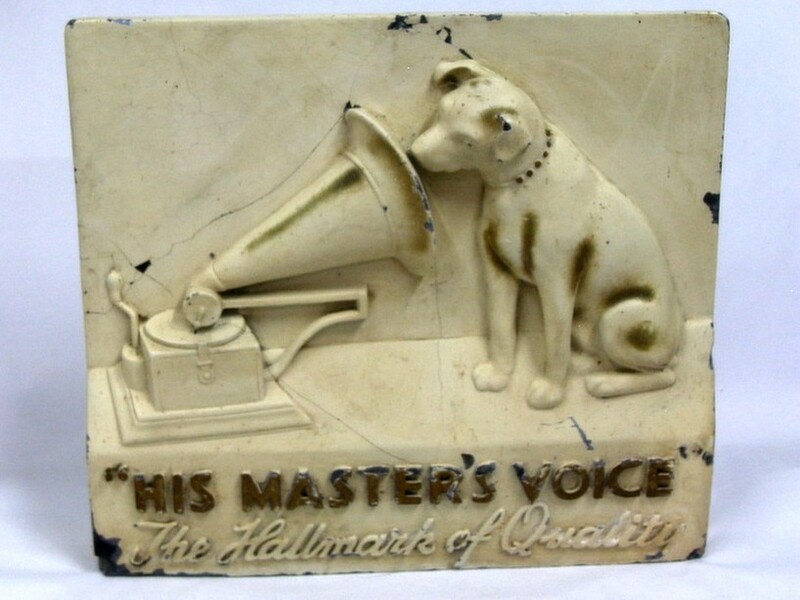 Caption HIS MASTERS VOICE (HMV) ADVERTISING SIGN, PLASTER, HAS BEEN REPAIRED, C1910. 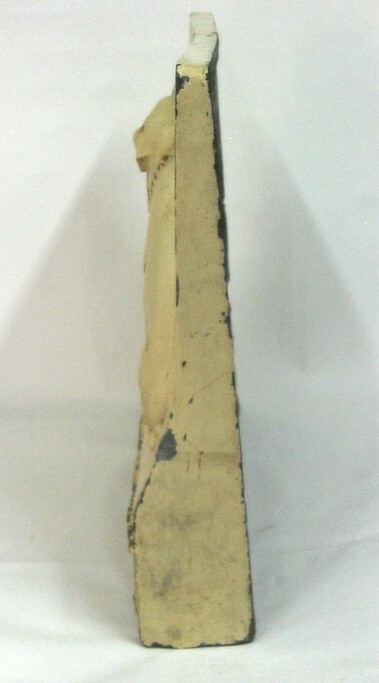 Description THIS WAS USED IN A SHOP AT POINT OF SALE & RARELY SURVIVED. 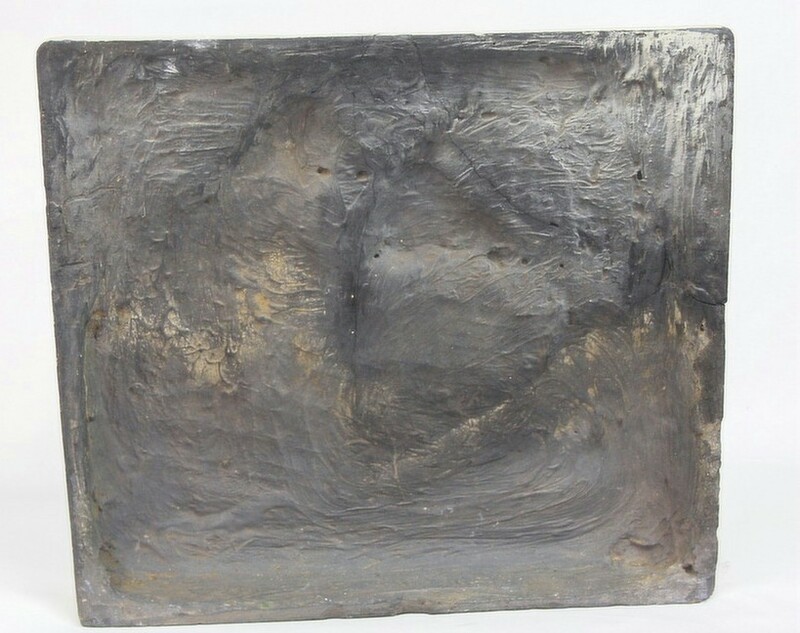 THIS PARTICULAR MODEL IS EXTREMELY RARE.